Archive for the ‘Students’ Category. We are one day away from a new school year and it is time to do away with summer habits and rituals. It is time to focus on school and studying. 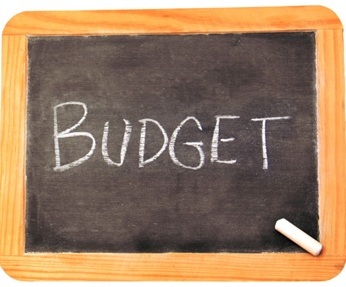 School nowadays, especially colleges and universities, cost a fortune and that requires a budgeting plan by students to survive it financially. If you were lucky enough to have worked in the summer and saved some money, good for you. Now be smart with it and budget it, accounting for such things as books, meals, residence and other items that may apply to your situation. Assuming that you are doing both a fall and winter semester, then you know you will be in school from September till about early April. With that in mind, you can budget the money you saved during the summer for these 7 or 8 months of school. Unless you have saved lots and lots of money that is more than enough to last you through the entire school year, it doesn’t hurt to find a PT job that can provide you with some more needed cash. If you didn’t get a chance to work or save enough money for school, you will will likely need to find a PT job that can help you with your school as well as personal expenses. It is very important that you find out your school schedule first before you commit to any new job. Furthermore, make sure your PT job is no more than 20 hours per week (or 25 if you include the weekends) otherwise you will be consumed and too tired with working and have little time or energy to study. Students often have limited budgets and income and the little money they have is barely enough for the essentials such as books, food, residence etc. Therefore, students should treat every penny as if it is the last one and not spend as if they have no school or have an infinite supply of money coming in. While making the transition from the summer vacation to the new school year, it may take some time for students to forget old habits and start saving. Since you are only working part time now-or not even working at all-you can no longer continue your weekly mall shopping spree or throw money on clubbing and drinking every weekend. While these things can still be enjoyed, you should spend less on them and much less frequently. Although it is pretty common sense, there is lots of studies and articles that clearly show that those who don’t have to work while studying do better-or a lot better-than those who have to study and work at the same time. Lately, we have been seeing some students who are working not just one, but two, even three PT jobs while attending school! This is absolutely absurd. Even if it is a few hours per week for each, still, it is too much of a distraction and lost hours that would otherwise be spent on studying and other on-campus related activities. If possible, limit yourself to one job, that provides you with 15-20 hours per week, rather than doing two jobs with 10 hours each. This way you have to deal with one work schedule, one boss, one work location, rather than having to deal with multiple ones of each. I believe that the reason a lot of students can’t continue their higher education, or drop out completely, is due to the little amount of time they spend studying, because they are busy working. In other words, their full time studies is becoming part time while their supposed part time job is taking on a full time basis. Students need to be wary of this and not let it impact their school. School is a big investment that will pay you off for the rest of your life. While working for some extra needed cash is OK, be sure to only work part time and leave as much time for school work and activities as you possibly can. As current or former students, we all know what a fortune it costs to buy textbooks. Sometimes in the thousands of dollars per semester. Given students’ limited income, this can be quiet tough for most students to afford, and can shred your budget to pieces! Having said that, there is something you could do with your textbooks when you no longer need them, that could get you some much needed cash. Sure, most of us know that we can resell our textbooks and make some money that can help us with buying books for the next semester or other things. But how to go about doing it? how do you compete with hundreds of other students on campus, selling the same books at the same time? -Timing is everything: the earlier you sell, the better. But that doesn’t mean right after the semester is over. Wait till just before the start of the new semester if you can. Make sure you sell the next semester and not delay it by a year or more, because the book will probably be old by then, replaced by a newer edition. Selling it before the new semester starts is crucial, otherwise it may be too late, as most students would have bought their copies by then. -Location: where to sell your books? first and most obvious place would be on the campus, by posting flyers. Be sure to post detailed information about the book, including ISBN, course code it is offered in, and of course your full contact information. Try to bundle and offer discounts: for example, the more books they buy from you, the more discount you give them. This way, you may be able to sell more books to the same person, rather than one book for each potential buyer. Or if the new class has already started, you can stand at the door of the new class and directly ask students if they are interested. Next best place would be local classified sites such as Kijiji and Craigslist. Here, you can reach even more people than just those from your college or university. When all else fails, you can try on-campus book stores. The reason this should be your last resort is simply due to their low payouts. Usually up to 75-90% off the original price. How much to sell for? You don’t have to list your books for a fraction of what you paid for. Generally speaking, you could list them for 25-50% of what you paid. This will still get you some much needed money while saving the potential buyers lots of money compared to buying new. And always remember, while it is natural to seek the maximum returns, you are not in it to make a profit. Textbooks, much like certain car models, are terrible for lost value in a short period of time. They can only depreciate in price, and rarely ever appreciate. Last but not least, it is important to keep your books in excellent shape, and try to not highlight them or anything like that. Preserving your book in its original state can mean a big difference in selling price. 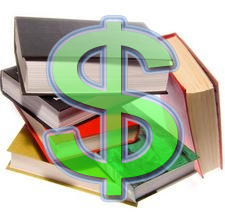 You can use the cash you get from selling your books to buy books for the new semester. If you are done from school, you can save the money or use it to start paying off your student loan debt. When reading about how some people fell in deep debt, the story is almost always the same: it often starts when they were students in college or university. There, they are offered credit card after credit card by different companies, where the offer is too good to resist for a young person. And you know the rest of the story. This college-born debt is killing our youth and young generations, that by the time they graduate, they have to pay both their student loans as well as other debt they incurred through reckless borrowing and spending. Why isn’t anyone sounding a serious alarm about this ticking time bomb? Better yet, why don’t colleges do something about it and educate their students? Simply assuming that students are mature enough to think for themselves and not borrow if they can’t pay it back, is not enough. As we can see, if the majority are falling for it, then we know students can’t think for themselves, or they just need the money so badly, they don’t think about future consequences. There is no better solution than early education and awareness, starting from parents and high school. Almost every school offer such creative courses in arts, sports, writing etc. How about a course in personal finances? We would be doing our teenagers and youth the biggest favor by educating them early about finances and the dangers of taking on too much debt. I have been through this too and I can assure you that if someone had educated me about this better, I wouldn’t have signed up for that credit card on campus. After all, I already had one card, why the need for a second? This is a unique problem. When students enter university, it is a whole new world, and a quiet overwhelming experience. It is a world where there is too much pressures, demands, energy and little money to pay for it all. So when someone presents them with a magical plastic card that can pay for anything up to a car, who can resist? Some of these early college attendees may have been told by their parents about the dangers of debt, but because they haven’t experienced it yet themselves, they don’t pay much attention to the risk. By the time they do, it is usually too late. Certainly, we can’t ban credit cards from being offered on college and university campuses. How about keeping them but putting a cap on their limits? After all, $1,000 limit should be more than enough for immediate and small purchases, and for anything larger and school related, they can use their student loan. I urge every parent reading this to spend enough time with your kids to educate them about the toxicity of easy college debt. If you prepare beforehand, save money for college, and budget properly, you won’t need these nasty credit cards. Unless you want to spend the first decade after your graduation, paying your debt.